Soothing organic oils (certified organic coconut, olive and jojoba oils), aloe vera and powerful silver combine to create a healthy ear environment that prevents the growth of bacteria and yeast. 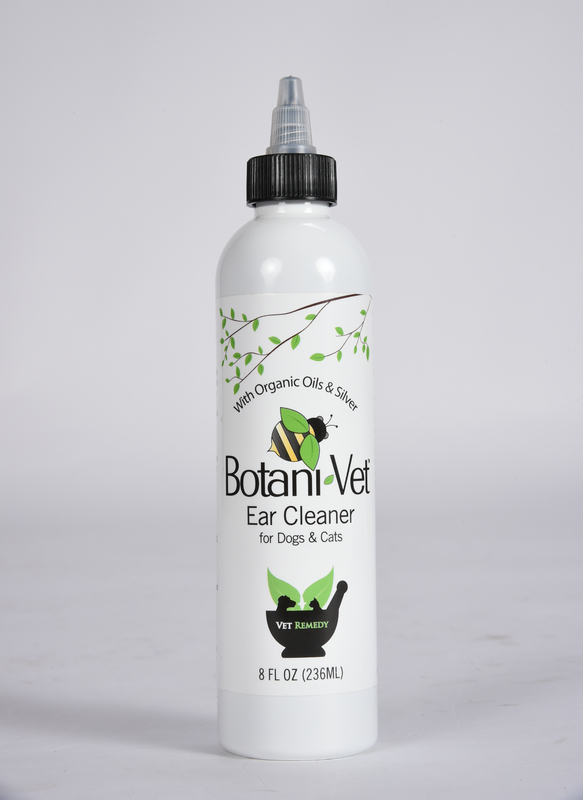 BotaniVet Ear Cleaner contains 100% natural ingredients that you can trust. 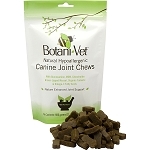 BotaniVet provides all natural, eco-friendly, veterinary dermatologist formulated and recommended skin and ear remedies. 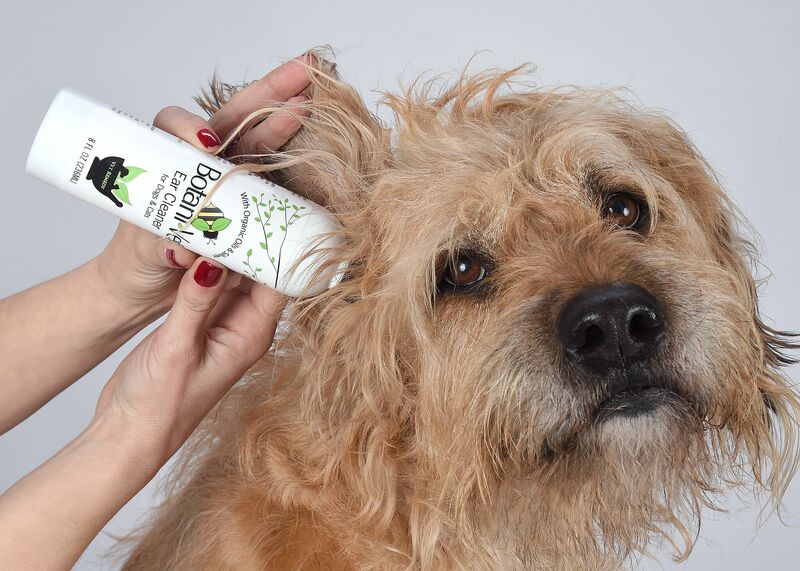 The cleaner in BotaniVet is all natural and made from certified organic coconut, olive and jojoba oils. Organic, natural oils & silver are soothing and promote ear health. Silver has a variety of proposed health benefits including potent antibacterial and antifungal activity as well a healing aid. Up to 20% of the dogs suffer from skin allergies, most of which have ear problems. Pets with skin and ear problems can be very sensitive to the harsh detergents and other chemicals including sulfates and preservatives used in almost all commercially available ear cleaners. Even the cleaners that say 'all natural' often contain detergents that are chemical based. 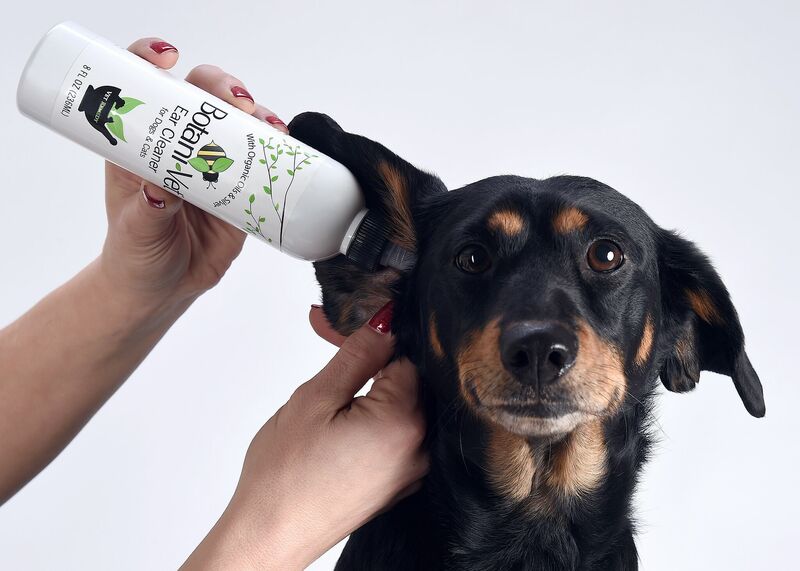 BotaniVet products offer all natural non-irritating solutions for your pet's skin that are free of GMOs, sulfates, alcohols, harsh chemicals and detergents. Made in the USA. Shake well as natural ingredients may settle. Twist open nozzle and apply generously to fill ear canal. Massage the base of the canal for 30-60 seconds to loosen wax. Allow your pet to shake his/her head (may be messy). Dry excess with cotton ball if needed. Apply up to several times weekly or as directed by a veterinarian.